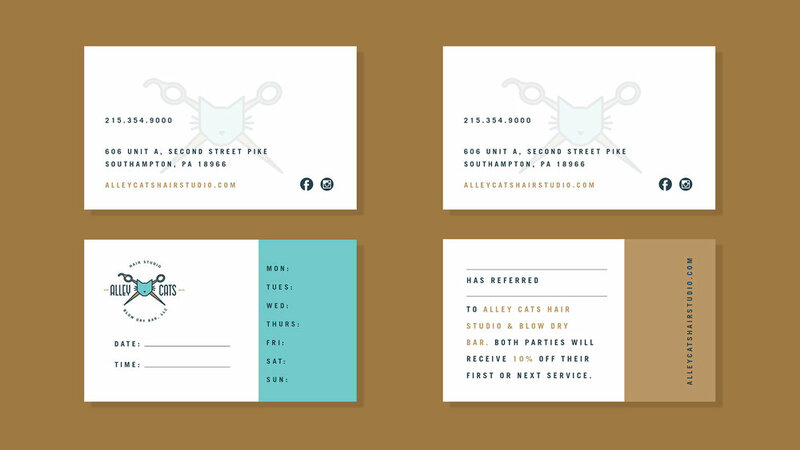 Alley Cats Hair Studio & Blow Dry Bar, LLC, is a high-end salon located in the suburbs of Philadelphia. Their brand is inspired by their goal of bringing the city to the suburbs and love for retro design. A mix of bold typography and grainy photography evokes the feeling of walking through the alleyways of downtown Philadelphia, while a bright 1950’s-inspired color palette and use of color blocking incorporate the fresh, retro vibe that Alley Cats was looking for.